Inspiring Wines guide to choosing your wedding wine. You’ve plucked up the courage and proposed…and you’ve got the answer you wanted….I hope! Anyone who has ever done it will know all too well that it is never easy planning a wedding and will readily regale to anyone who’ll listen horror stories about flowers, venues and very possibly escaped doves! Whilst we can’t help you with every aspect of the wedding planning process if you are planning to supply your own wedding wine for the event or you are getting married in a less traditional location and you need wedding wine, drinks service or more we can definitely help you with that. In this post I will take you through the basics of what to consider when ordering your own wedding wine for your wedding, how to calculate how much you might need and I’ll share our tips and tricks to make your selection process as painless as possible. Here at Inspiring Wines we get enquiries all the time about how to source wedding wine, with the increase of weddings taking place in much less traditional locations there are many more opportunities these days for couples to supply their own wine. Traditionally you’ll have a wedding ‘breakfast’, which seems an odd term in these modern times? Apparently, back in the mists of time a ‘fast’ was always observed by the wedding party prior to the marriage ceremony so the ‘knees-up’ afterward was the first meal after the ‘fast’, hence breakfast. Of course, we live in a more secular society these days and the ‘traditional’ wedding, although still extremely popular is not as prevalent as it once was. Folk are taking their vows in all sorts of places these days. And the subsequent ‘breakfast’ comes in many different forms. Bubbles in the sun…what’s not to like!? Whilst some traditions may be on the wane, we do like to believe that there is one tradition that has been firmly held on to since the dawn of the ‘marriage ceremony’ and that is, lovely wine for all the guests in copious amounts! I mean what’s a wedding bash without great wine? And whilst we are on the subject of speeches can you imagine sitting through all those awkwardly long embarrassing speeches without several glasses of bubbly or something equally as lovely on the table to take the edge off. Though we don’t necessarily suggest the deployment of an ‘open’ bar at your wedding party, although it is always an option, you will definitely want to offer your guests a fine choice of wines and other drinks to complement your event and especially the food you have chosen. Obviously coming up with an answer to those two questions will depend on various factors unique to the event you are planning. What Wine to Choose for my Wedding? There is no doubt, some wines certainly work better at weddings than others, Champagne and Sparkling Wine are of course a popular choice you’ll want to consider, there is no law that states you have to have fizz at a wedding breakfast but bubbles are always a crowd pleaser. Usually served on arrival and for the toasts, it’s a pair of ‘safe hands’ in many respects. You don’t have to blow your entire budget on the fizz however, with bubbles can come cost, but if you are lucky enough to have a large budget and you are looking specifically for Champagne then there is a wealth of choice. Champagne is a classic of course, but it is also worth considering some English sparkling wines, many great quality English sparklers will fall into a similar price range as Champagne but there are also as many less expensive options. British fizz is very much ‘on trend’ right now and there are some amazing sparkling wines available from producers like Nyetimber, Henners, Lyme Bay and many others. All need to be considered. Your wedding wines and the quantity you will need will change depending on the type of wedding you have. If you are having an indoor ceremony in the colder months, for example, you will probably find that people favour the red wine slightly more. Conversely, if you’re holding your wedding bash outside in the summer, or in a marquee people will be more inclined to drink white, and fizz especially if it’s a lovely summer day but you’ll always have a few that opt for a glass of red especially if your party goes on into the night. White and Red all over! For the white New Zealand Sauvignon Blanc is always a solid choice, it has mass appeal and there is so much quality and choice available at a range of price points. Pinot Gris is worth considering, lots of citrus and fruit, great for a summer wedding. If you are looking for something with a little more body why not think about Rioja Blanco or a Grenache Blanc, both achingly cool, white Rioja is very much on trend but not widely renown so an excellent choice to get your guests talking. And Grenache Blanc, particularly from the Western Cape of South Africa although not prevalent is most definitely a “you’ll never believe how good this is” wine. For the red, whilst there will be guests who love their reds ‘big, bold and beefy’, you might want to lean more towards easier drinking reds to offer that mass appeal. Pinot Noir is a great choice in this respect, New Zealand and Oregon both produce amazing Pinot Noir, if a little pricey but to appeal across the board you should consider Chilean Pinot Noir, they are producing fabulous budget-friendly Pinot Noirs that will really surprise you. You can look to a classic Australian Shiraz of course, lots of choice, lots of fruit and frighteningly easy to drink. Or why not think about an Argentinian Malbec, always very popular as are reds from Rioja, a region which offers a wealth of choice. It’s my party and I’ll drink what I want to! So, much to consider, so many factors play a part and there are many people to please. That said remember it’s your wedding day as the people actually getting married yours is the final say. Make sure you are not just choosing wines for everyone else. Even if you just want everyone to toast you with a Mojito, it’s your call! Looking for a pop-up bar for your wedding? With weddings, it’s a little different because it all depends on who you are inviting, what type of wine you’re thinking about purchasing and how long your wedding reception will go on for. If you’ve booked the reception venue until the early hours, you’ll obviously need a lot more than for an afternoon garden party. In simple terms a standard 75cl bottle of wine contains approximately four 175ml glasses of wine which although you probably won’t be measuring is a good size glass. So if you calculate 2 glasses each with a meal it’s a half a bottle per person. Obviously, not everyone will drink 2 and some may drink more but that gives you a good guide. So let’s say you’re inviting fifty people. For fifty people you need about 25 bottles of wine for the meal, if you’re inviting a hundred, you’ll need fifty. Just divide by 2 and for safety always add a bit… a bit for luck if you will! Wine generally comes in cases of 6 so you are looking at between 4 and 5 cases for 50 people. It is always best to err on the side of caution, you don’t want to run out so we recommend you go for the higher amount if you can afford it. You may also need to factor in white and red and split your cases between 2 wines. Remember that’s just considering the wedding breakfast, you’ll need to factor more in for the evening. If it’s for a day into an evening event you can still calculate two glasses per person for the evening. Two glasses at the meal and two in the evening means a bottle per person. If there is a bar as well after the meal bear in mind many people might move away from the wine onto other drinks, some will always stick on wine but you obviously won’t need so much. You’ll need to consider fizz too if you are having fizz. If it is for toasting you will probably get closer to 5 or 6 glasses out of each bottle as flutes tend to hold less but you may also have some guests who will stay on the fizz throughout so the same measurement should apply. Fizz is obviously very popular at any wedding party any time of year. Sparkling wine will probably take up a good chunk of the wine budget and can be pricey but it doesn’t have to be Champagne all the way. As we’ve said there are lots of amazing bubbles from all over the world these days that will fit the bill. A good tip here, if you must have Champagne but need to watch the budget why not choose two types of fizz. Champagne for the toasts and look to Spain or Italy or even Australia for the ‘pouring and party fizz’. How Inspiring Wines can help? If you are looking to supply your own wine I’m sure you’ve started with research online, there are lots of ‘packages’ out there that could fit the bill and lots of companies you can choose between. Here at Inspiring Wines we don’t do specific ‘packages’, the reason for that is every wedding is different and every couple has different tastes so we always like to build a bespoke solution for each and every wedding we do. It’s all about your vision for your day. We can offer an amazing selection of wines, of course. That’s a given, that’s what we do! We will seek out wines that you and your guests will remember and talk about for a long time after your event. Great wine is all about taste so we always let you taste your wines before you make any decisions or order anything and once you know what food is being served we can offer wines that will compliment your menu. But it’s not just about the wine. We can offer an amazing drinks service too. If you are planning something a little less conventional we can help with that. Whether you are planning cocktails in the garden, beers on the beach or a toast in a Tipi, talk to us and tell us what you are looking for? We have a range of options and ideas from previous events, including pop-up bars; cocktails; vegan-friendly and non-alcoholic options and loads more. And we are always keen to try something new so, tell us what is in your head? We fully understand how tough choosing the right wedding wine and drinks service can be. Get in touch, we always try to keep things simple for you and take the stress out of choosing. We can tailor a package to suit you and your budget. Whether it’s a pop-up Prosecco bar; Mai Tais all around or simply amazing wine you are looking for, we are here to help. Best of luck from us all at Inspiring Wines with planning your big day. If you have enjoyed this post and found it useful please share with your network. Inspiring Wines is a small business and sharing our posts really helps. 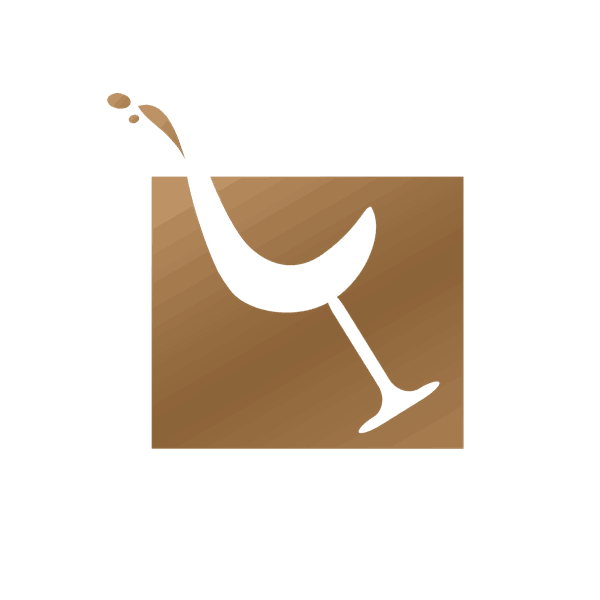 This entry was posted in Wine Info and tagged Champagne, Sparkling wines, wedding wine.